"In my book everyday NEVER means ordinary, so we've crafted this wardrobe staple from the kind of cotton that has to be tried to be believed. (That's your cue, by the way)." Of the best quality you can imagine. Love this shirt. Precision in orders. Good quality for the price. The shirt was a little bigger than expected. Response from Charles Tyrwhitt: Here at Charles Tyrwhitt we appreciate the importance of a perfect fitting shirt - in fact in our opinion this is one of the most important things to accomplish! I am sorry to hear that the Classic Fit was not the most suited fit for you. We understand that different people prefer different fits which is why we offer Classic, Slim, Extra Slim and Super Slim Fits. 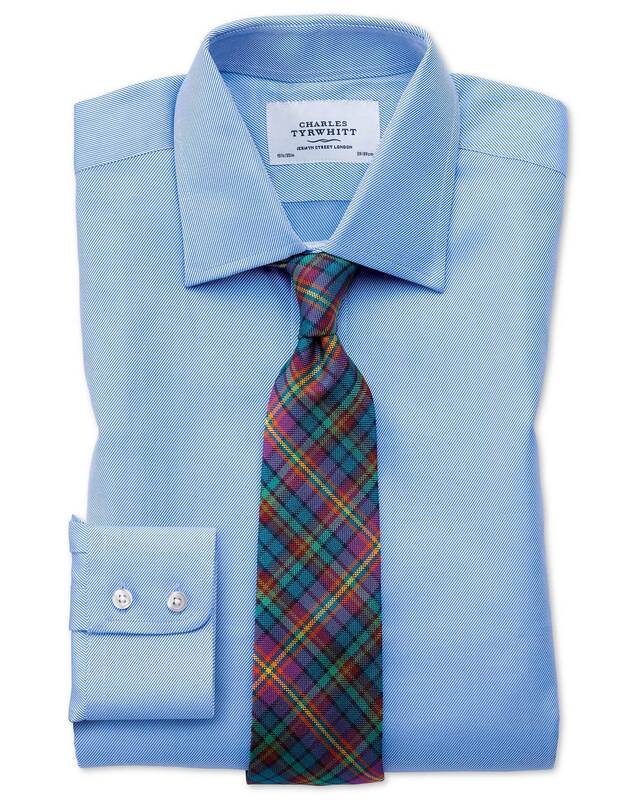 I would perhaps recommend trying one of our Slim Fit shirts. Response from Charles Tyrwhitt: While Egyptian cotton is beautifully soft and feels wonderful against the skin, the downside is that it can be tricky to keep looking perfect as it is so delicate. For this reason, we cannot provide the Egyptian cotton shirts in a non-iron, but you are welcome to return this particular shirt to us for a non-iron alternative should you wish.